How many pipettes of Frontline are needed for one cat? and how often does the Frontline need to be reapplied? Thabk you for your help. Each pipet is effective for a months. This product will give you 12 months of protection. Can this be safely used with Profender? Does it matter how much my cat weighs with this product? Others are usually weight specific and my cat is 15 lbs. Thank you! This product is ok for all cats regardless of their weight. 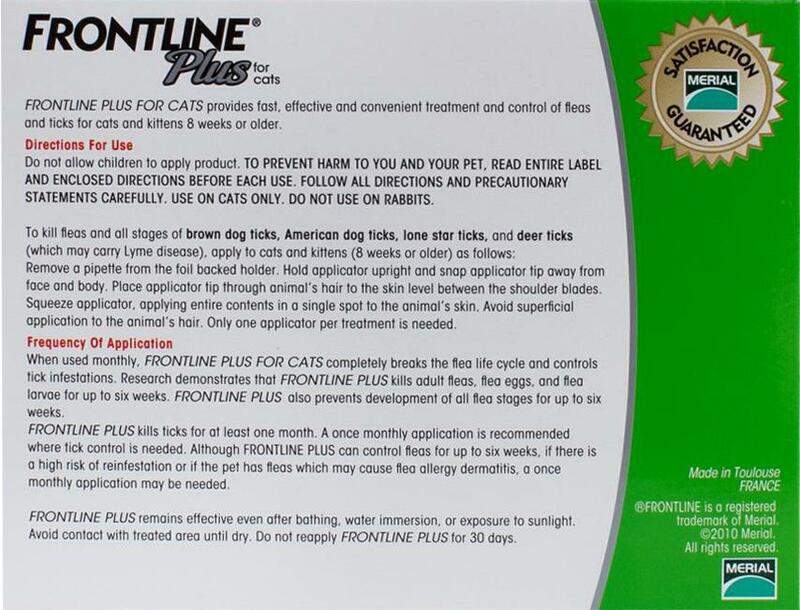 Easy application and works great to keep fleas and ticks at bay.